Often times the policyholder is unfamiliar with the process and relies upon the insurer’s experts to determine the amount of the loss. This creates a conflict as the insurer’s expert’s role is to audit and review claims as presented. 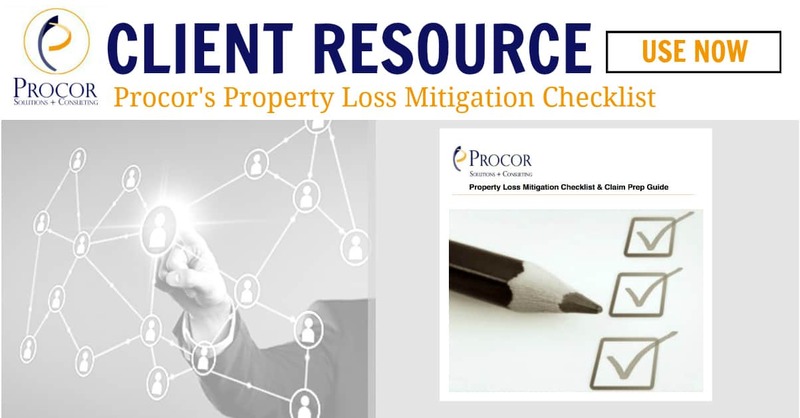 When a complex loss occurs, it is the responsibility of the Risk Manager or Policyholder to lead the development and presentation of property and time element losses caused by the event. Keep in mind that a complex loss will be evaluated eventually for insurance purposes or for a general audit, therefore it is essential to quickly establish a claim validation and presentation process to capture and document all loss- related costs. 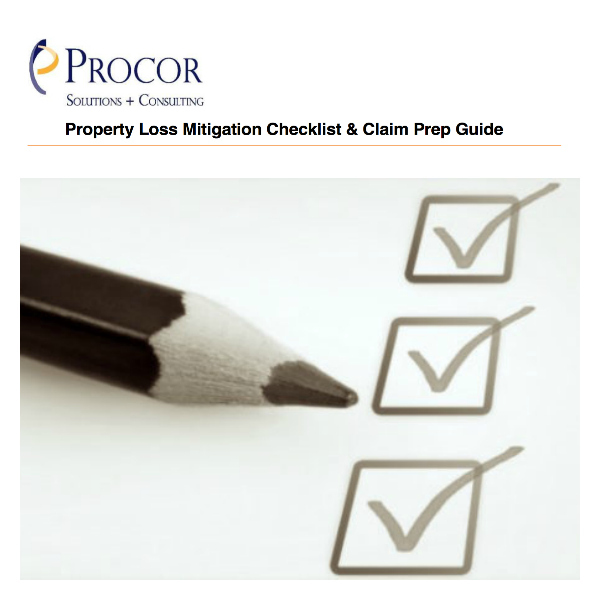 View the Procor Property Loss Mitigation Checklist below.